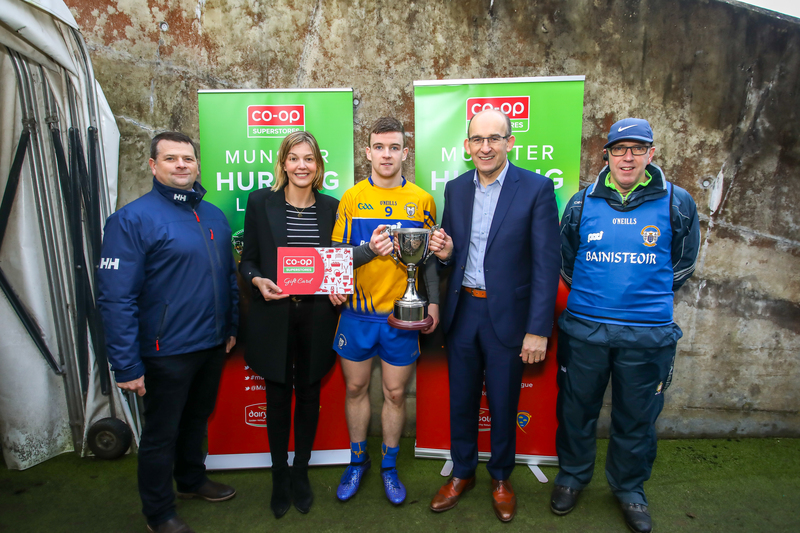 The 2019 Co-Op Superstores Munster Hurling League final saw Clare defeat Tipperary 4-19 to 1-18 in an entertaining game at the Gaelic Grounds, Limerick on Sunday 13th January. 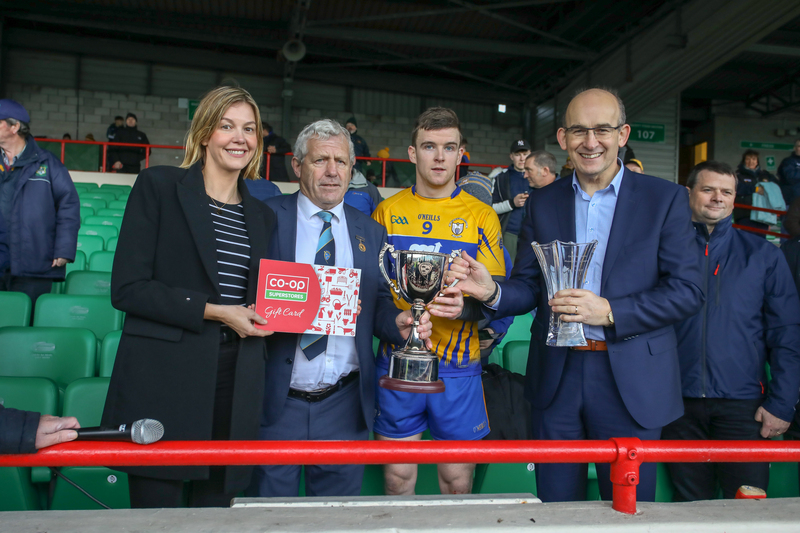 The 4,531 in attendance saw an even enough first half end level 2-5 to 0-11, before a third-quarter burst of 2-7 (against 0-2 for Tipperary) gave the banner a firm hold on the cup. 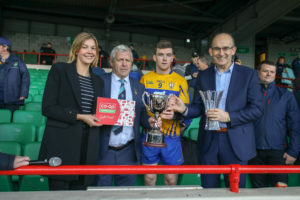 Pictured left to right: Liam O Flaherty, Head of Dairygold Agri Business, Gillian Foley, Retail Marketing Manager, Dairygold Co-Op Superstores, Tony Kelly Clare Captain & Co-Op Superstores Man Of The Match, Jim Woulfe, Dairygold CEO and Gerry O’ Connor, Clare Joint Hurling Manager following Clare’s victory over Tipperary in the Co-Op Superstores Munster Hurling League final at the Gaelic Grounds last Sunday. 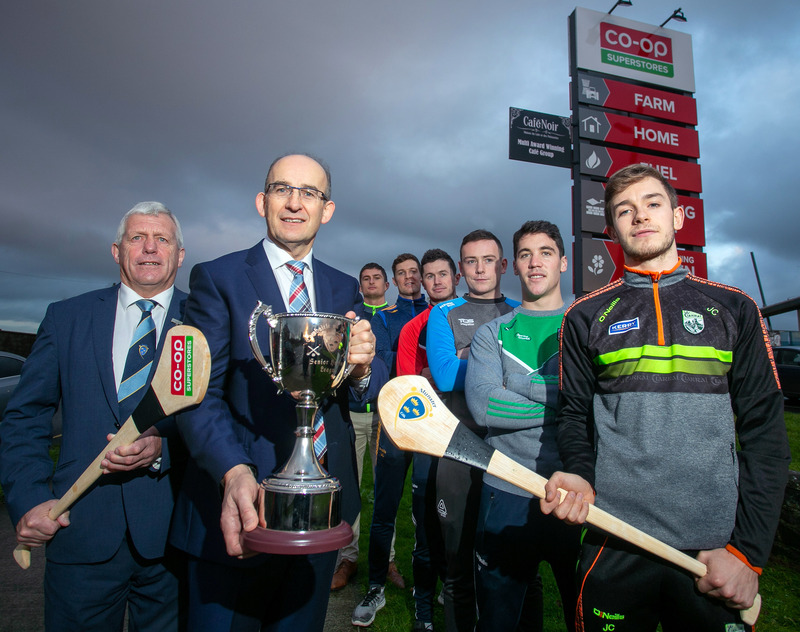 All 6 counties participated in the competition which provided them with a great opportunity to prepare for the very competitive Allianz League. With a level of high energy and competitiveness, spectators enjoyed some close games this year with a host of talented players vying to establish their positions for the hurling season ahead. We wish all 6 Counties well in the upcoming Allianz Hurling League 2019. 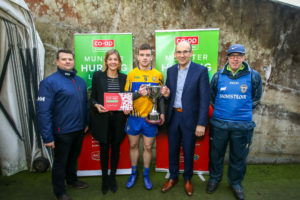 Pictured left to right: Gillian Foley, Retail Marketing Manager, Dairygold Co-Op Superstores, Jerry O’ Sullivan Munster Council Chairman, Tony Kelly, Clare Captain & Co-Op Superstores Man Of The Match and Jim Woulfe, Dairygold CEO following Clare’s victory over Tipperary in the Co-Op Superstores Munster Hurling League final at the Gaelic Grounds last Sunday.